SAN JOSÉ, CA (August 1, 2018) – Mubadals Silicon Valley Classic No. 1 seed Garbiñe Muguruza has been forced to withdraw from the event due to a right arm injury. 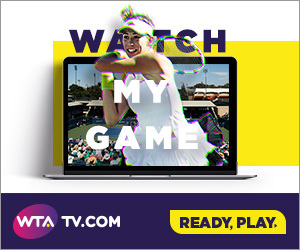 Muguruza will be replaced in the draw by lucky-loser Anna Blinkova who will play two-time Grand Slam champion Victoria Azarenka tonight at 7 p.m.
Tickets for the Mubadala Silicon Valley Classic are available at www.MubadalaSVC.com. Seven-time Grand Slam champion Venus Williams takes the court against Heather Watson Thursday at 7 p.m., while defending champion and No. 2 seed Madison Keys will play Ajla Tomljanovic during Thursday’s day session.